Goat Note: This is a guest post from our friends over at HavanaLion.com. 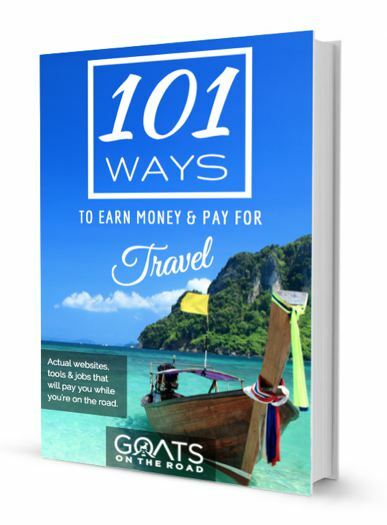 Check them out for great tips and info about travelling and backpacking! Bali is not quite on the usual Southeast Asia backpacker’s itinerary and seems to have a reputation of being somewhat of a luxury holiday destination, popular with honeymooners and the jet set. Indeed, if you have money, it is easy enough to spend it in Bali – luxury villas, 5-star hotels and western restaurants with western prices to match are found all over the island. 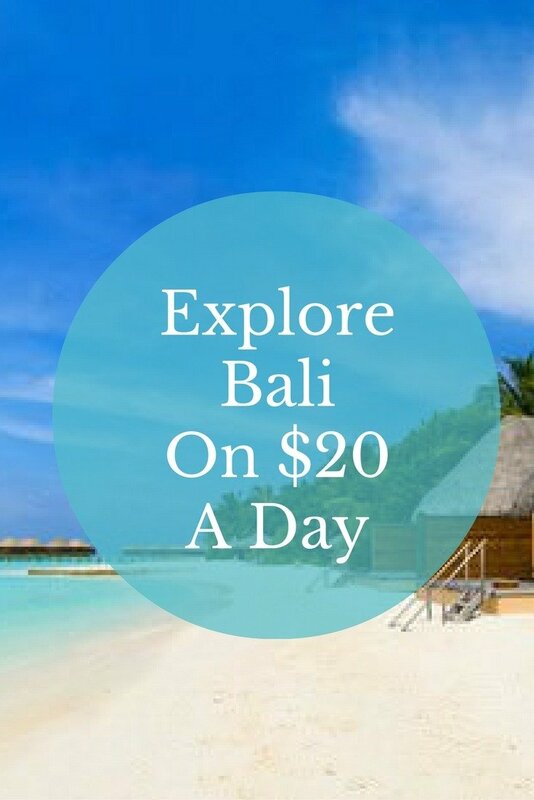 However, for those of us on a lower budget, it is indeed possible to visit Bali on around $20 a day and this doesn’t necessarily mean sleeping on a dirty mattress in the backpacker ghettos of Kuta. Prices for accommodation in Bali have risen sharply in recent years. 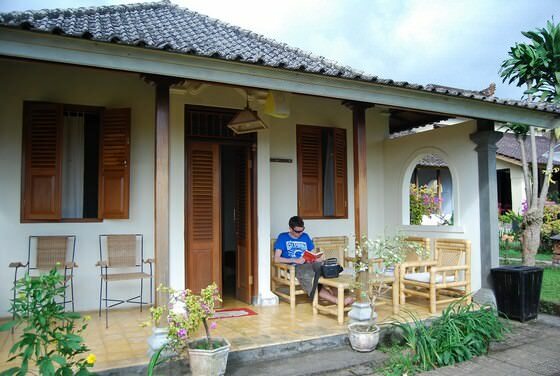 It used to be fairly easy to find a basic room in a ‘homestay’ (Balinese style bed and breakfast) with cold water for less than $5 a night a few years ago, but these days it’s rather more tricky and you’re more likely to find a room from $10 and up. Prices vary across the island and the most expensive areas are the heavily touristy towns of Kuta and Seminyak in the south. Basically, the further north you get, the cheaper accommodation gets. Ubud has got much more expensive in the last two or three years, but with a bit of bargaining you can still get a basic room with a fan and cold water shower for $10 a night. Even at this budget price, most homestays will throw in a breakfast of fresh tropical fruit, toast or pancake and tea and coffee. If you’re willing to stay further out of town, prices get even cheaper and if you are staying long-term, you can get some great deals. Whether you’re renting a single room or a whole house, expect to make huge savings on your accommodation if you pay 6 months or a year in advance. Even in popular areas, you may get lucky and be able to find a small simple house for $300 a month if you pay upfront. For those who have an even tighter accommodation budget, consider staying in a rumah kos. This budget accommodation is intended for Indonesians who have moved away from their home towns for work. If you can speak Bahasa Indonesia and you’re staying long term, you might be able to talk yourself into getting a room in a rumah kos. Be aware that some Indonesians may not like the idea of a ‘rich’ foreigner taking up their budget accommodation so try to live like a local as much as possible if choosing this option. There are luxury rumah kos these days, which are more like mini apartments, but basic rooms will have not much else than a bed, with a shared kitchen and bathroom. You should be able to find a basic rumah kos for around $50 a month. The cheapest transport option on Bali is Bemos. These are basically antique mini buses that are falling to bits that follow set routes, usually between markets in different villages. They can be flagged down on the street and you can be dropped off wherever you like on the way. Bemos only cost a few thousand rupiah per trip (less than 50 cents) but be aware of Bemo drivers who think you want to charter the whole vehicle and charge you the same as a taxi. Bemos are also a torturous way of travelling long distances. Bali now has a new bus route between Batubulan and Nusa Dua which costs the same as taking a bemo but is air conditioned and much more comfortable, not to mention quicker. The route is restricted but may be useful for travelling between Ubud area and the south of the island. Most locals and many tourists get around by motorbike or scooter. You can hire a motorbike for around $5 per day but as with housing, if you rent long term you should be able to get one for much cheaper. It’s definitely worth shopping around and doing a bit of bargaining. Renting a scooter in Bali is a must! 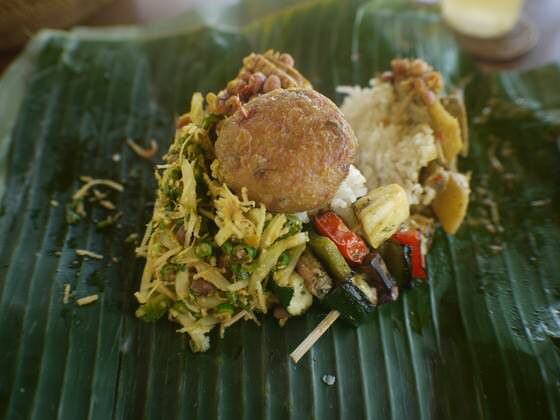 Eating cheaply is no problem on Bali as long as you’re prepared to stick with local food. A plate of nasi goring, nasi campur, mie goreng or similar will only set you back around $1.50 at a local warung. If you’re really stretching the pennies out, you can get a small nasi bungkus (takeaway rice with meat, vegetables, peanuts and other side dishes) for as little $0.30. If you stick to local warungs, eating out is not much more expensive than cooking for yourself and is way less hassle. However warung food does tend to use a lot of oil and MSG and is not always the healthiest. Local vegetables, tropical fruit, chicken, tofu and tempe are very cheap in local markets. Anything imported or not generally eaten by the locals is probably more expensive than you would pay for it back home. Be aware that the price of everything goes up around the ceremony of Galungan. For those who like their alcohol, Bali is not the best place to be, as imported alcohol is taxed heavily. Spirits are not recommended due to a spate of ethanol poisonings and even the local wine is expensive. So you’re basically left with the local beer, Bintang. Prices vary depending on where you’re drinking but you should be able to get a small bottle for around $1.50 or a large bottle for about $2.50. 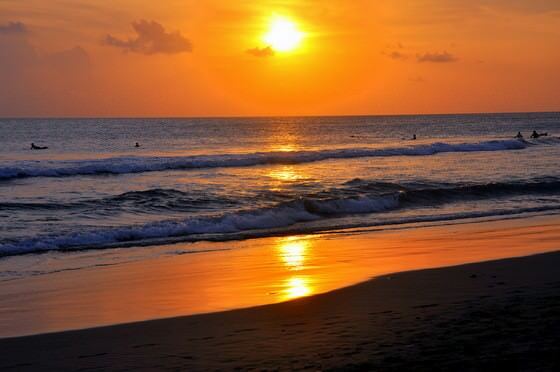 Luckily when it comes to keeping yourself busy in Bali, as in life, the best things are free. It costs nothing to swim in the sea or walk in the rice fields. 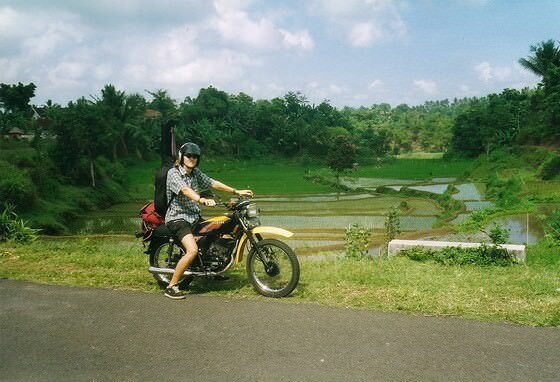 If you hire a motorbike, you can explore the countryside to your heart’s content and entrance to temples is generally only a few thousand rupiah (1,000 rupiah is roughly equivalent to $0.10). You can even see traditional dances (which cost around $5 for a tourist performance) for free if you attend a temple ceremony. Internet – free in one of the many wi-fi cafes or you can get a small quota of 3G usage for less than $1. Massage, facials and haircuts – cheap as chips in Bali, you can get any of these treatments for around $5 (but stay away from the ‘dodgy’ massage places). Clothing – t-shirts, summer dresses and the usual backpacker gear of baggy pants and the like is widely available in the markets and very cheap if you bargain well. Have you ever been to Bali? 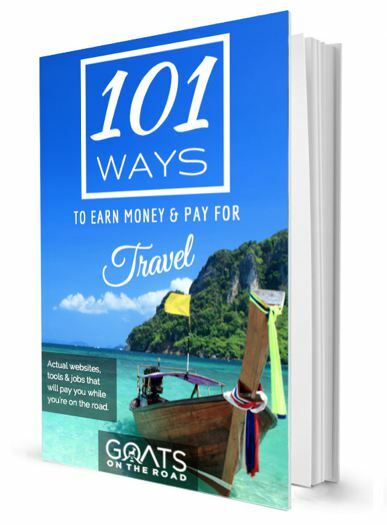 Were you able to travel on a budget? Leave a comment below! Rachel traded her office job and conventional life in northeast England for the palm trees and rice fields of Bali. She spends her days raising her two young children, trying to learn Indonesian and being the resident village ‘tourist’. Rachel currently writes for Havana Lion a travel backpacking blog. You can catch more tips and guides at our Facebook & Twitter pages. Can you recomend any places to stay for a month? Around 800 a month? You don’t need $800, $200 is doable , with comfortable accomations for a Westerner. We loooooved Bali. We spent a little less than a month there exploring everything from Jimbaran Bay to the Bukit Peninsula, Ubud, and Padangbai. We moved around a lot but were able to keep things relatively cheap. We’d love to go back for longer and stay outside of Ubud. Thanks so much for sharing! Cheers for the comment guys! Bali is a paradise! This place is one of my favorites when refreshment calls me. I just can’t help adoring the nature. We loved Indonesia so much that we extended our visa and stayed for 6 weeks. One important point is using a scooter there requires a international drivers license that you need to get before going or it will cost you a pretty penny. There are road stops often and we managed not to get caught but not without huge effort, dodging police that waved us down, and sheer luck. Hi Melanie 🙂 We got a 60 day visa right off the bat as we knew we’d love it in Indo..and we were right 🙂 We rented a car and numerous scooters without an international driver’s licence, but as you said, there are police everywhere. We got pulled over a few times and paid a bribe! hi, im planning to travel solo to Bali on budget there for just few days, my main things is scenic and nature places.. any tips on where i should stay and go? Thank your for sharing your unforgettable memories in Bali to other traveler, very informative and good for recommendation for you who are will come to Bali,just add a bit information please take a note: lot of money changer in Bali please recheck again ( by your self ) after change the money to avoid inaccurate amount. that’s all hopefully useful for next traveler. Hey, this is an amazing article. Loved your style of writing.